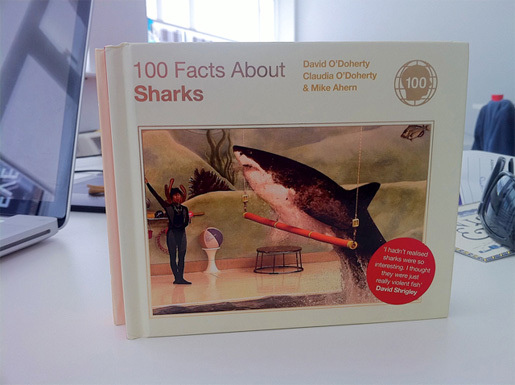 100 Facts About Sharks can be purchased from Random House and Amazon. From the inimitable authors of the brilliant 100 Facts about Pandas, prepare to be amazed, shocked and delighted by their new tome on sharks. Leading sharkeologists David O’Doherty, Claudia O’Doherty and Mike Ahern bring you a hundred things you definitely didn’t know about the oceans’ most terrifying creatures. · and the word ‘shark’ actually looks quite like a shark. Your knowledge of sharks is about to get a hundred facts more knowledgeable.